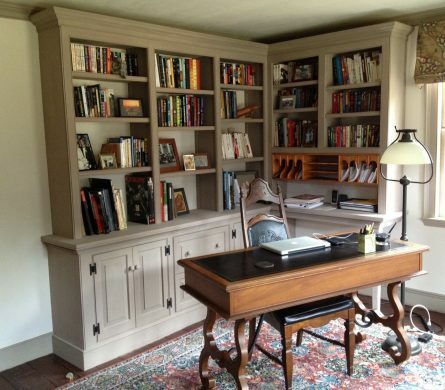 This colonial built-in bookcase cabinets unit is designed to live in a special antique house where it serves as a bookcase and office organizer. 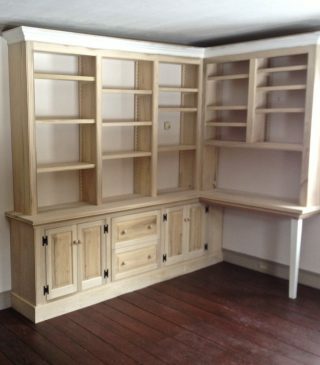 Built from local poplar, it is hand-planed and painted to match the existing woodwork in the room. 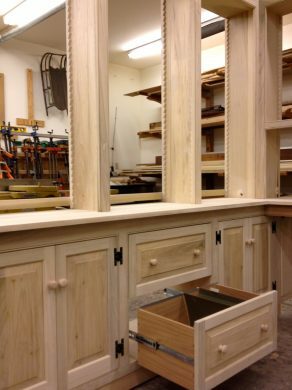 There are a lot of moldings, bead work and ‘saw-tooth’ shelf supports. 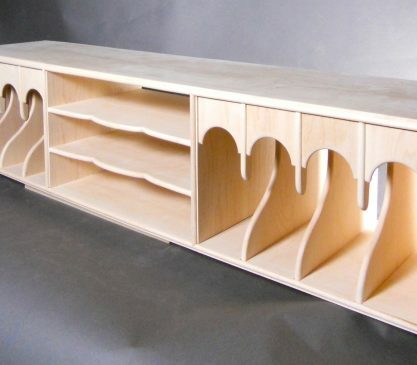 A classic maple pigeonhole organizer. 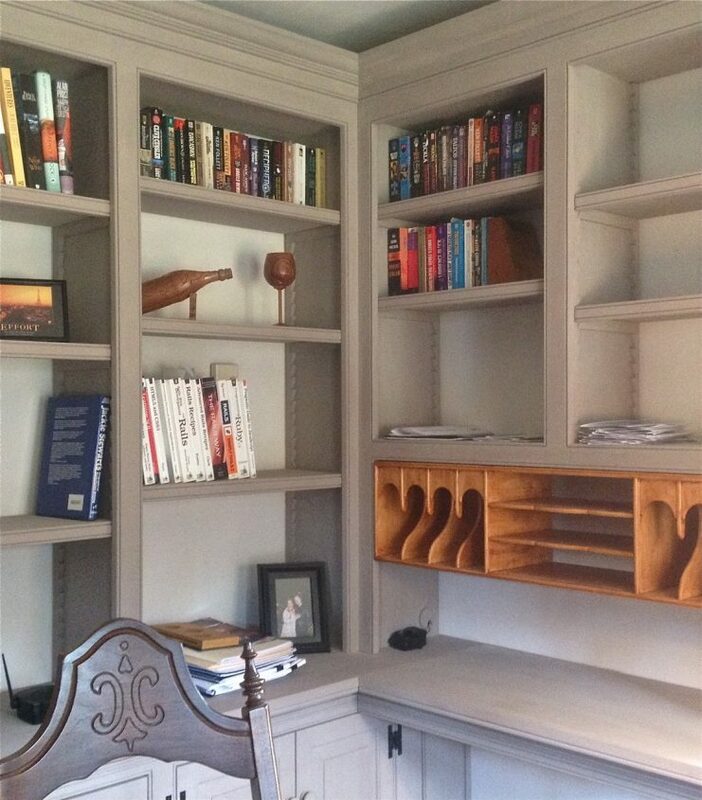 Adjustable shelves, pigeonholes and wire ports.